This briefing note provides an overview of New Zealand’s housing system and of recent changes around– tenure, supply and affordability. There are almost 1.8 million private dwellings in New Zealand of which 64% or around about 1.14 million are owner-occupied and around 640,000 are rented. Of the rented dwellings approximately 80,000 or just over 12% might be estimated to be social housing although the exact number of such units remains a little unclear. Over the past decade New Zealand’s housing stock has grown at an average annual rate of 1.1% or by about 18,000 dwellings. The 1.8 million dwellings are occupied by just over 4.5 million people providing an average household size of 2.6 people per household. Such an average is somewhat misleading as there is considerable variation in household sizes across New Zealand. Just looking at Auckland for example, the average household size is 3.0 people with almost 4.2 people per household across the Mangere-Otahuhu board area and just 2.6 people per household in Devonport-Takapuna. 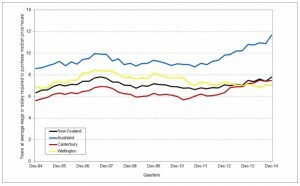 Housing dominates New Zealanders’ wealth and debt. At the end of 2014 New Zealand households owed $196 billion in housing related debt which was around 82% of GDP. Ten years previously households owed $102 billion in housing related debt or 67% of GDP. Housing debt as a proportion of GDP peaked in 2009 at over 87%. At the end of 2014 the market value of New Zealand’s housing stock stood at $768 billion or 323% of GDP when ten years previously these assets were worth $429 billion or 280% of GDP. House values as a proportion of GDP peaked in 2007 at 336%. Government allocates around $1.9 billion to housing subsidies or about 2.5% of its entire spending. Of this housing budget almost $1.14 billion is spent on the Accommodation Supplement and $718 million is paid to Housing New Zealand to allow it to provide income related rents to around 60,000 state tenants. Government assistance for home-ownership is fairly minimal with a modest mortgage guarantee scheme known as Welcome Home Loans and Kiwisaver withdrawal concessions alongside grants of up to $5000 per person. The Government is presently undertaking a widespread reform of social housing including reconfiguring the state house stock and moves to increase the provision of social housing through NGO housing providers. To date these changes have seen a sell down of state houses with promises of more to come, alongside the establishment of a special purpose development agency to redevelop the public housing estate in Tamaki in eastern Auckland. 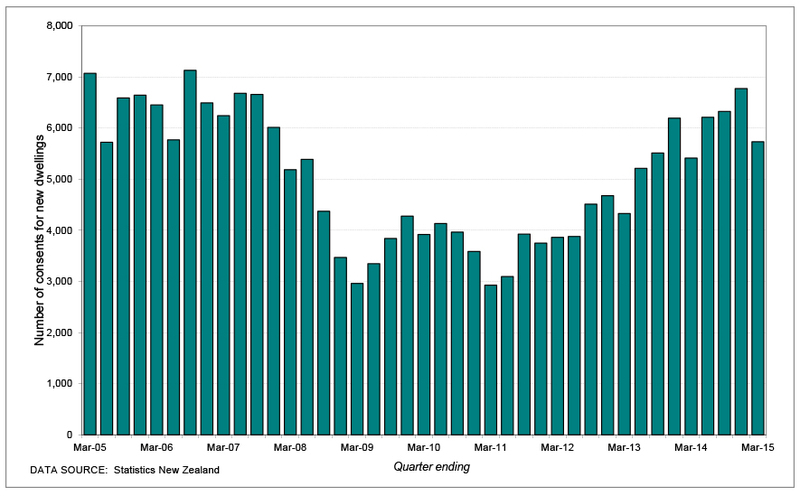 The proportion of New Zealand households which own their own home has fallen continuously since 1991 when the last of any meaningful Government support for home ownership programmes was withdrawn. In 1991 73% of households owned their home and this proportion has fallen progressively since then to 64% of households at the end of 2014. Between 2004 and 2014 of the 180,000 dwellings added to the stock, 63% or 114,000 were rental housing. Of these 114,000 additional rental units just 3000 were additions to the social housing stock. Homeownership rates vary considerable across the country. In Marlborough-Nelson-Tasman over 70% of households own or partly own their homes while in Gisborne less than 60% do. In Auckland the homeownership rate is just 61% of all households. As shown in Figure 1 house building activity has fluctuated significantly from an annual total of more than 30,000 dwelling consents in 2005 to less than 15,000 consents in 2010. Over the past decade Auckland has received nearly half (48%) of New Zealand’s total population growth yet gained just 28% of the country’s consents for new dwellings. This shortfall in new house building in Auckland has created a deficit of around 10,000 houses over the past five years. A notable feature of the housing supply is the rising cost and size of new houses. Across all of New Zealand and for the year to March 2015 the average per square metre cost of a house was just over $1700, an increase of 30% in inflation adjusted terms on the cost ten years earlier of just over $1300. Housing affordability measures for purchase or rent reflect location, housing tenure, housing size and relative price. Purchase affordability indexes are based on income, house price and debt servicing costs. An intuitive measure of housing affordability is a simple ratio between house prices and incomes. Figure 2 offers such a measure over the past 10 years where affordability is expressed as the number of years it would take on the average full-time wage or salary to purchase a median priced house. Figure 2 provides estimates of this measure for Auckland, Wellington, Canterbury and Nw Zealand overall. Housing affordability is clearly a particular problem in Auckland. Comparisons of incomes and rents show that rents have tended to increase at the same time and rate as wages. This probably should be expected because rents can normally only be paid out of current income. The exception is Christchurch where rents have risen by 40% in nominal terms since 2005 against a nominal increase in wages nationally of around 10%. Over the ten year period in question overall consumer prices and benefit levels have risen 25% while rents have risen by 40%. The lowest paid workers also appear to have been left behind in the rent affordability stakes. Government’s policy response to affordability issues has been quite muted. It has attempted to frame the growing shortage of affordable housing in Auckland solely as a land supply issue and a result of regulatory failure, when in fact the house building industry appears incapable or unwilling to build modest houses which are affordable to low-income households. It has avoided any revision of the subsidy settings around the Accommodation Supplement despite these being ten years old and rents having risen by 15% in real terms over this period. Finally the Government has offered fairly token assistance to first time home buyers and, by default, accepts the continuing slide in rates of home-ownership. The larger, more compelling housing issue is around the lack of additional affordable housing and the poor quality of much of the existing stock of affordable housing. These are the issues which will directly impact on the well-being of New Zealand’s poorest children. In response to these issues the following actions are recommended. 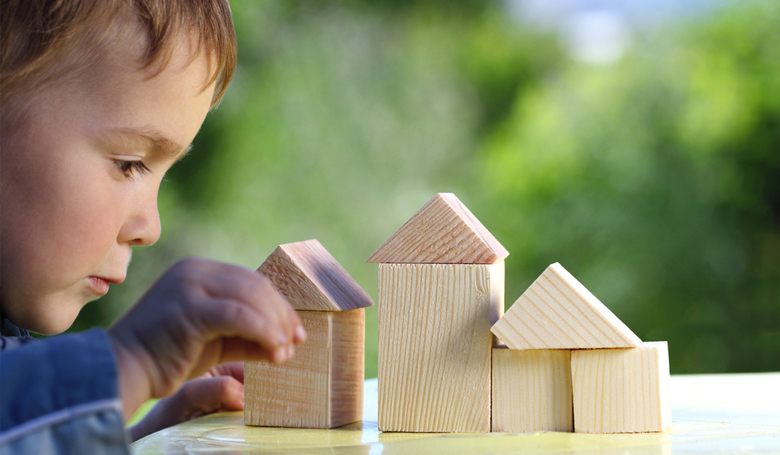 That children be provided with a statutory right of access to secure and safe housing. That a building warrant of fitness for all rental housing be brought into law within three years. That the policy settings around the Accommodation Supplement be revised. That political parties consider developing a multi-party accord as the basis for developing a New Zealand affordable housing plan. These figures are based on budgets estimates contained in the Government’s ‘Vote Social Development’ appropriations budget. 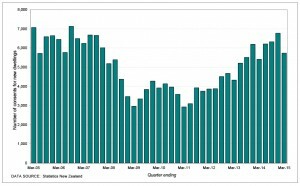 Housing New Zealand Annual Reports indicate that the number of state houses fell from 69,717 in June 2011 to 68,229 in June 2014. In May 2015 the Minister of Finance indicated that Government intended to sell a further 1000 to 2000 state houses during 2015 – see NZ Herald article 1 May 2015 ‘Fast-track cash for house plan’. 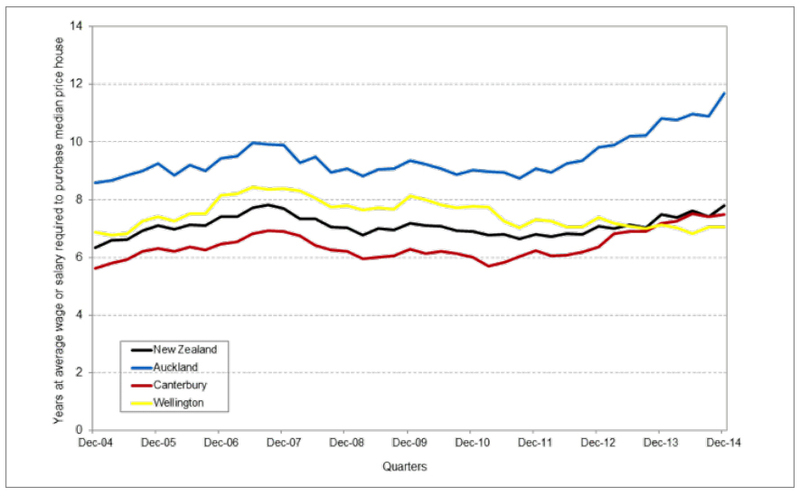 Data from Statistics New Zealand dwelling estimates. Estimates of changes in the social housing stock are based on Housing New Zealand’s reported stock from various Annual Reports. Between June 2004 and June 2014 Auckland’s population grew by 200,000 people from 1.33 million to 1.53 million while the New Zealand population grew by 420,000 people from 4.09 million to 4.51 million people- source Statistics New Zealand’s sub-national population estimates. The estimate is based on estimated population growth between September 2009 and September 2014 of 92,000 people against consents for new dwellings of just over 20,700. At the present average household size for Auckland of 3.0 people per dwelling this 92,000 people would require 30,600 additional dwellings. These estimates of floor space and costs have been averaged over four quarters and are sourced from Statistics New Zealand’s building consent database via Infos. Alan Johnson is the Co-convenor of the Child Poverty Action Group. He is the social policy analyst for the Salvation Army’s Social Policy and Parliamentary Unit and author of A mountain All Can Climb which is the Salvation Army’s State of the Nation report. Alan is a community activist in South Auckland where he is active as an administrator in local sports clubs and as a school trustee. He is also a trustee of the Auckland Community Housing Trust and Chairman of Community Housing Aotearoa. 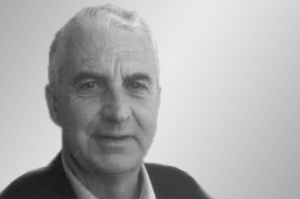 Alan has an academic background in town planning and economics and has been involved in Auckland local government for over 20 years both as a politician and bureaucrat.